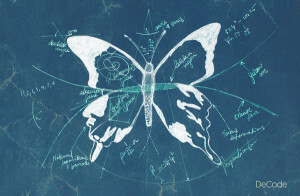 The making of a butterfly…..takes a plan, no….MORE than a plan…..you need a BluePrint! The juice cleanse, I’m going to use is called BluePrint Cleanse. Ok, so it’s not cheap. But remember — this is my Valentine’s Day present 🙂 There are 3 versions of the cleanse, so I chose the 2nd level — called the Foundation. I figured, I’m a pretty good eater. I’m a veggie lover now — I could go for more of the Green Juice. So, I’m jumping into the middle of the pool! Each day, i will be consuming 6 bottles of juice. Juices #1, 3, and 5 are the Green Juice, which is made of organic romaine, organic apple, organic celery, organic cucumber, organic spinach, organic kale, organic parsley, organic lemon. Juice #2 is a pineapple concoction made of organic pineapple, organic apple, organic mint, filtered water. Juice #4 is Spicy Lemonade and Cayenne, made up of filtered water, organic lemon, organic agave nectar, cayenne extract of Mexican habanero, jalapeño, African, Chinese, Thai, Korean, and Japanese peppers and Juice #6 is the Cashew Milk, made of organic cashew, filtered water, organic agave nectar, organic cinnamon, organic vanilla extract, organic vanilla specks. In between I’m allowed to supplement with hot decaffeinated green tea. So, I have to figure out a time schedule for drinking — ie figure out what’s breakfast, lunch and dinner so to speak. I’ve been doing really well during my preparation days. Last night, I had a sweet potato for dinner, and some apples. I was remarkably full. My stomach is shrinking already, and the hunger pangs are lessening. It really only takes a few days to cut back from the indulgence. I’m particularly strong in mind — looking forward to getting started! Valentine’s Day will be interesting this year for s.u.r.e! Memorable. So — it all starts very soon. I’m in my cocoon….stirring….stirring…waking up from a long nap. Everything is in place. This caterpillar is ready to t.r.a.n.s.f.o.r.m! With BluePrint in hand — now I just need a little faith, a hell of a thirst, and some time. Tick. Tock. Tick. Tock. Butterfly is coming. Tick. Tock. Tick. Tock.